Andrew: The series is in desparate need of an Andrew Pixley. Perhaps we should see if he’s free? 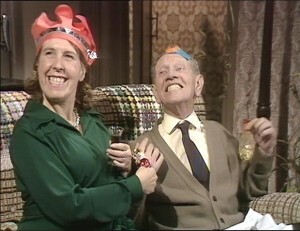 Bob: Whatever the airdate, it sees Summer Wine celebrating its first Christmas special in typically perverse fashion… the episode is set during a summer heatwave, but a distraught Nora needs to create an unseasonal festive period so she can send the pictures to her brother Billy in Australia, who isn’t expected to live to see the real thing. Yes, more death and terminal illness! ‘This time he seems to have his heart set on it,’ wails a hysterical Nora in the café, prompting our heroes to rally around with paper chains (Oh crikey, I spent MONTHS of my childhood making paper chains for Christmas. The whole of our household decorations were held together by juvenile spittle) and tinsel. Andrew: It’s a gloriously stifling and enforced Christmas that they throw together, and one that isn’t helped along by Foggy’s cinéma vérité aspirations behind the camera. Then again, watching Wally and Nora struggling to appear jovial while wearing festive hats, you get the impression that the real holiday season doesn’t run any more smoothly. Bob: There are Some nice Sid and Ivy moments in this episode, including a great set-piece in which they’re actually kissing in the café – with Ivy seemingly encouraging Sid to attempt to turn her on! It’s a scene that’s clearly a riff on a similar routine between Marilyn Monroe and Tony Curtis in Some Like It Hot… and with mentions of Joe E Brown fresh in the memory from a previous episode, you have to conclude that it’s one of Roy Clarke’s favourite films. Andrew: While I feel hitting you with something is an entirely justifiable punishment for such wicked thoughts, it really is a testament to Kathy Staff’s performance that we are so totally convinced by her Nora’s costume, and its usual padding and dowdiness. Clegg: Can’t he move inland? A very enjoyable episode, all told. And, of course, Nora’s cousin Billy rallies by the end and runs away with his nurse. All is well in 1970s sitcom-land. That might be something to do with the fact that neither of us recognised him until you pointed him out! This episode also has one of the worst sets seen in the series, where Sid and Ivy are kissing and the trio are outside…obviously filmed in studio as opposed to being filmed on location, and the set (particularly the wall behind them) is so badly done it’s amazing. Ha, that completely passed me by upon first viewing. Terrible! me too, didn’t notice the phony wall ! Can of worms time now. 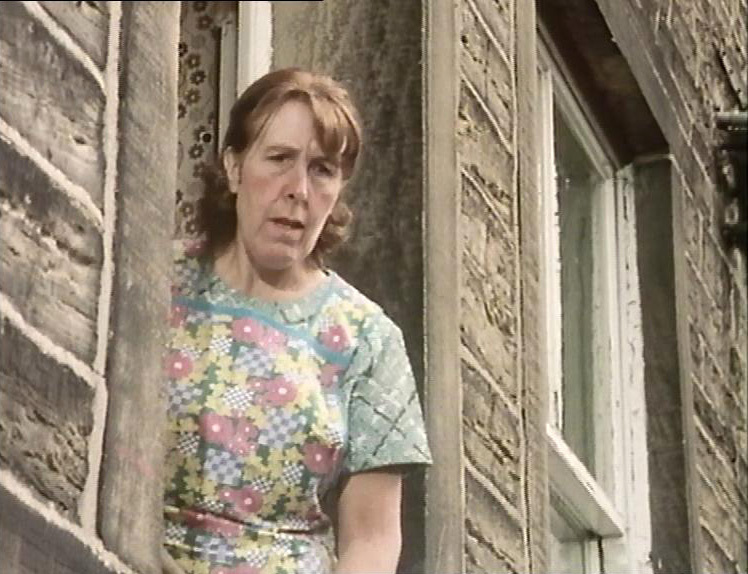 As far as I can tell, Pete Postlethwaite is NOT in the finished episode. The customers in the cafe are not him. If you Google Images the supporting actors’ names, you will clearly identify them as being in the cafe. He’s not the postman either – that’s Teddy Turner from Small Tune on a Penny Wassail who played Edgar. I’m convinced Peter or Pete Postlethwaite is not in the finished version of this episode. Also, I understand this episode runs at 35 minutes, which may qualify it to be a Christmas Special. 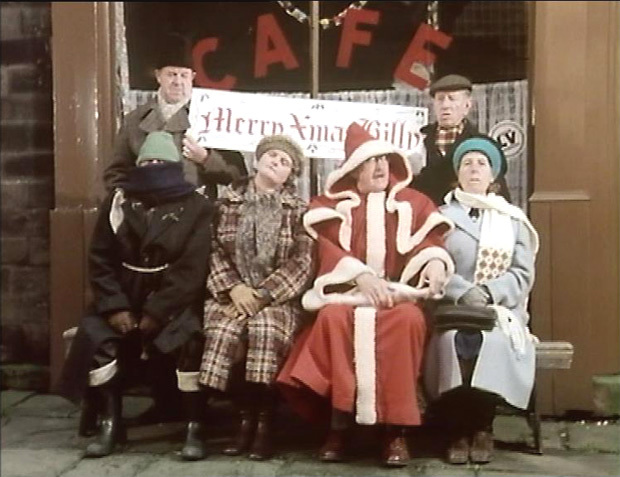 With an unusual eight episodes in this series, it may make sense it is intended to be a more usual seven episodes plus a Christmas Special. That outdoor scenery from the cafe door is dreadful! COMPO: Has she found out tha’s got another woman? WALLY: What do I want with another woman?! WALLY: Well, you know how it is… it happened before I got seriously interested in pigeons. Presumably inspired by the hot summer of ’76, and a quirky riposte to the sometimes-forced jollity of Christmas, the first signs of Foggy B deMille, and typically the whole thing goes west once someone can get stuck in a window. The heat perhaps makes an intriguing change from what in many cases seems like their usual uniform, Nora most obviously. Cynicism suggests it was probably just as cold as ever when they had to film. I think there is a version with Pete Postlethwaite in the café, and presumably one without. Was it ever settled if Pete Postlethwaite appeared in this episode? I’ve searched high & low for him but I can’t find him in my DVD copies or any reruns. 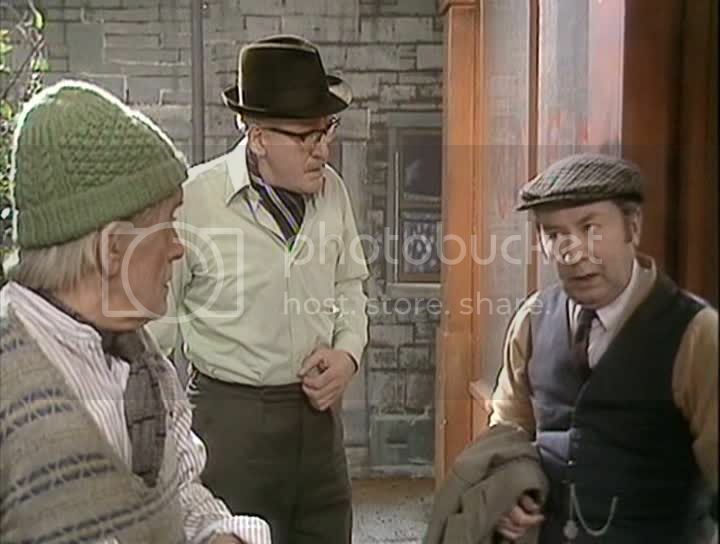 The male speaking cafe customer is Bert Oxley, he does look similar to Mr. Postlethwaite, but he’s certainly not to be mistaken for Pete.